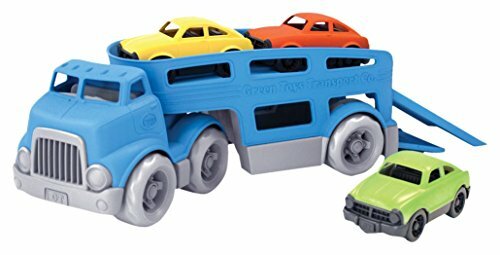 The double-decker Green Toys car carrier features two working ramps and space for three mini cars. With no metal axels or small parts, it’s great for both indoor and outdoor play, and encourages motor skill development and imaginative, creative play. 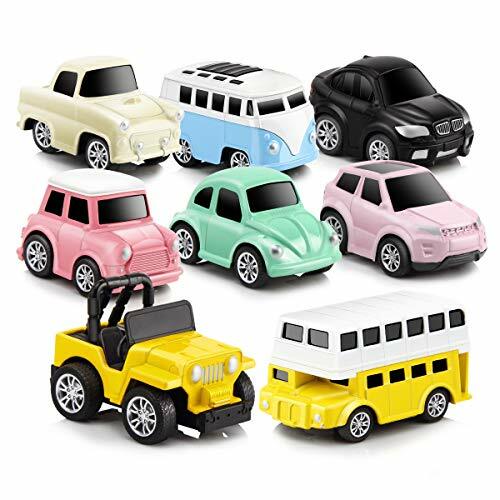 The 5 piece set includes cab with detachable trailer and 3 brightly-colored mini cars. Made in the USA from 100% recycled plastic with no BPA, phthalates, or PVC. Dishwasher safe. Packaged with recycled and recyclable materials printed with soy inks. For ages 3 and up. 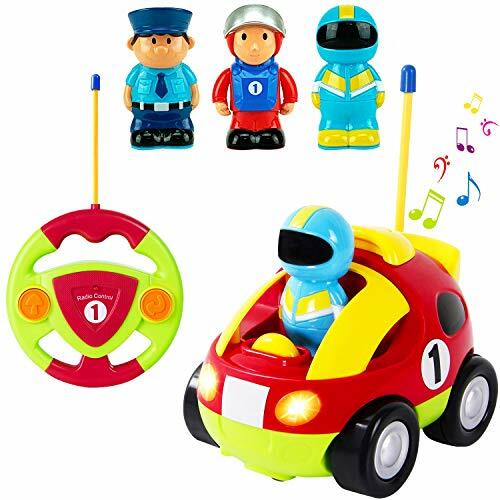 You’ll be the talk of the town as you and your little driver cruise the neighborhood in the sleekly stylish Push Around Buggy GT by Step2. This modern child’s ride-on allows your tiny human to enjoy a comfortable, safe cruise around the block while you push—and they pretend-steer (or not)—for tons of fun. 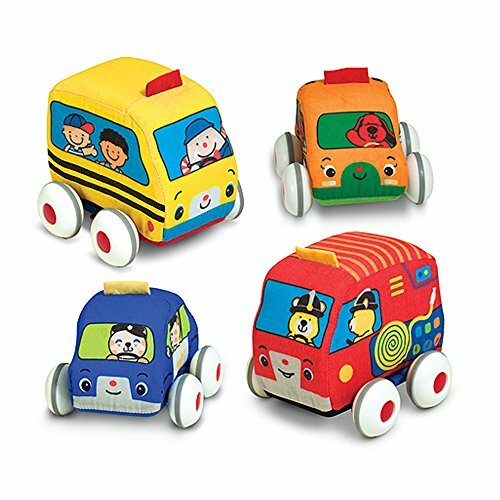 The steering wheel, honking horn, and seat belt make for a safer, more realistic ride, too! Parents will enjoy the stroll as well, with the option of tucking a favorite snack or keys and wallet into the under-hood storage compartment. 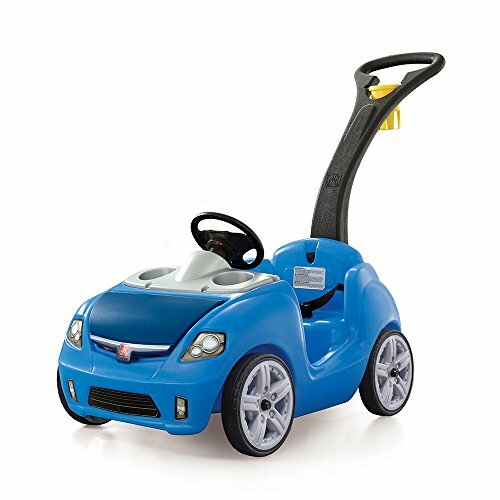 This tot’s push car is the perfect vehicle for all car enthusiasts, big and small! Made in the U.S.A. with some imported parts. Adult assembly required. 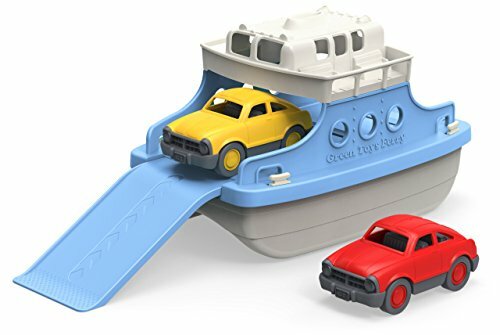 Seriously, push cars for toddlers just don’t get any cuter than this blue Whisper Ride II by Step2. So get your little one ready for the ride of a lifetime! As far as ride on toys go, this one’s got them all beat. 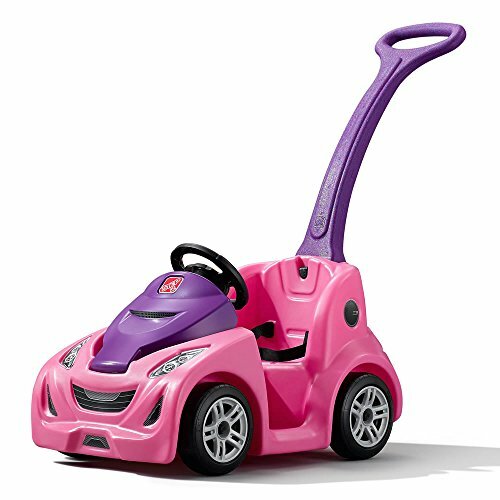 First there’s the sleek design, seat belt safety feature, and easy-to-fold handle. Then there’s all the nooks and crannies (including space under the hood) to hold thirst-quenching water bottles, beloved toys, and all other little must-haves like munchies, a wallet, or cell phone. Last, but certainly not least, there’s the quiet ride (shhh!) 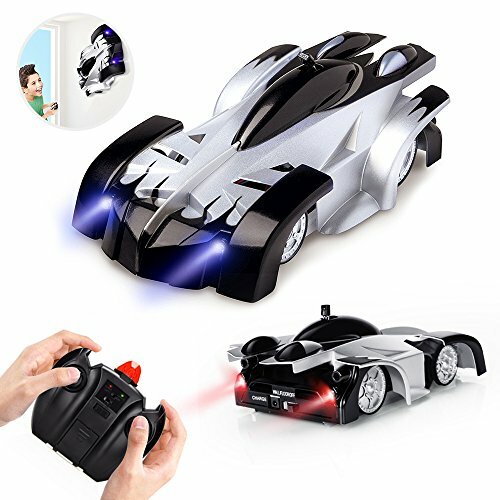 on the one hand, and the kid-powered horn (beep! beep!) on the other. Yep, it’s all fun at its very best for toddler ride on toys. Made in the U.S.A. of U.S. and imported parts. Adult assembly required.